Aaron Charles Carter (born December 7, 1987 Tampa, Florida) is an American singer and actor who came to fame as a pop and hip-hip singer in 1997 aged just 10. He is the younger brother of Backstreet Boys star Nick Carter. Carter began his performing career at the age of seven, as the lead singer of a local band, Dead End. He made his first solo appearance, singing a cover of The Jets' Crush on You, when opening for the Backstreet Boys in Berlin in March 1997. The performance was followed by a record contract, and in the fall of 1997, he released his first single, "Crush on You". Carter began his performing career at the age of seven, as the lead singer of a local band, Dead End. He made his first solo appearance, singing a cover of The Jets' Crush on You, when opening for the Backstreet Boys in Berlin in March 1997. The performance was followed by a record contract, and in the fall of 1997, he released his first single, "Crush on You". His first full-length album was released on December 1, 1997. The album, Aaron Carter achieved gold status in Norway, Spain, Denmark, Canada, and Germany, and was released in the United States on June 16, 1998. His next album, Aaron's Party (Come Get It) was released in the United States on September 26, 2000 under the Jive label. The album achieved triple-platinum certification, selling more than 1.5 million copies in the United States. At the age of 13, Carter recorded the album Oh Aaron, which was released on August 7, 2001 and featured his first duet recording with his brother, Nick. Carter's next album, Another Earthquake, was released on September 3, 2002, during the "Rock, Rap, and Retro" tour. The album featured the patriotic-themed "America A.O." and the ballad "Do You Remember". Carter's Most Requested Hits, a collection including tracks from his last three albums as well as a new single, One Better, was released on November 3, 2003. "Saturday Night", was released on March 22, 2005 and promoted by Carter during his summer 2005 Remix Tour. The single was also featured in the soundtrack of the film Popstar, in which Carter starred. Carter was also one of the many artists to record a song on the album Disneymania. Carter recorded I Just Can't Wait to Be King from The Lion King. 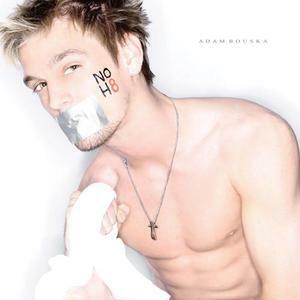 During a chance encounter at a mutual friend's recording studio on May 10, 2009, Aaron wrote and recorded the song, "I Love Everything About You" with MTV reality show host Tila Tequila. On May 23, 2009, "I Ain't Gonna Take No More," a song intended for inclusion on Carter's next album, was leaked to the media. Also in 2009 Aaron released the single Dance With Me (feat. Flo Rida). In 2010 he released Planet Rock which features Busta Rhymes.